Rep. John Delaney (D-Md.) last night blasted an email calling on Governor Larry Hogan (R) to denounce the Republican frontrunner, Donald Trump. Donald Trump’s campaign has been hate-filed, divisive, juvenile and repugnant. He’s attacked entire groups of people and entire religions, mocked people with disabilities and called for torture. Last week, he took a mysteriously long time to denounce the KKK’s support. Truly, we’ve never seen anything like this before and it’s been frightening to see Trump remain his party’s front-runner for so long. I believe this is a moment of truth for our country, a time when people of all parties and persuasions should stand together and denounce Trump’s campaign. That includes our governor here in Maryland. Governor Hogan is the leader of our state and if there’s any state in the country that stands opposed to Trumpism, it’s Maryland. The people of Maryland deserve to know where Governor Hogan stands, yet so far he’s refused to even answer the question. That’s not leadership. It’s time for Governor Hogan to do the right thing and denounce Trump. I like John Delaney. There, I said it. I like him a lot. He’s a smart and decent man. His constituent services are excellent, and he has made time in the past to come on my online radio show to discuss the Iran deal. He’s always treated me with respect. Delaney’s email blast calling on Hogan to denounce Donald Trump is partisan trash and should be treated as such. This little political diddy is the lowest common denominator in politics. I would typically give Delaney more credit, but he’s stooping to the level of Donald Trump by issuing such a nonsensical and goofy attack. Gov. Hogan endorsed Chris Christie in the Republican primary. Christie was instrumental in helping Gov. Hogan during his gubernatorial bid in 2014. Maryland Republicans appreciate Christie’s support, but that’s where it ends on Christie, who recently bowed out of the presidential race and threw his support behind Donald Trump. I am no fan of Chris Christie, and I cannot stand Donald Trump. I will never vote for Donald Trump. Period. But if John Delaney actually believes his email blast calling on Hogan to tell Marylanders where he stands on Donald Trump will serve him well politically in the future, then Mr. Delaney has seriously missed the mark. This is bad politics. This is weak for Delaney; quite frankly, I expect better from Delaney than this piddly garbage to score a cheap political thrill. Again, Rep. Delaney’s email is nothing more than partisan trash. We all know Rep. Delaney is seriously considering running for governor in 2018. So are apparently 27,000 other Maryland Democrats. Stand in line, Congressman, and take a number. Gov. Hogan is a little busy right now with Annapolis session. He is actually leading. He’s not in the minority party of Congress pushing the sludge for the failed policies of Barack Obama and peddling a corrupt liar to become the next POTUS. How can John Delaney support a corrupt, habitual liar like Hillary Clinton? As a self-described moderate Democrat, how can John Delaney possibly support Hillary Clinton’s far-leftwing agenda? Hillary Clinton’s agenda certainly does not reflect the congressional district in which Delaney serves. Clinton will lose the 6th Congressional District in a landslide! How can John Delaney support a presidential candidate who bungled classified information and lied to the families of those four victims in Benghazi? 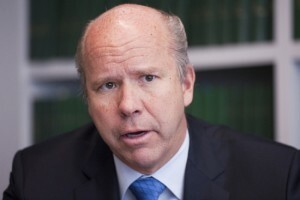 John Delaney should explain why he continues to support a deceitful, corrupt, establishment liar that Hillary Clinton is for the most powerful office in the world! Hasn’t this nation endured enough from the Clintons? John Delaney has some explaining to do.